Why professionals don’t use Window? Scientists, graphic designers, architects… are they committed Windows users? A lot of them are needing some serious workstations that are good for people doing CAD/CAM, GIS, high-performance technical visualization and defence application. And this isn’t just the case for workstations. In the world of servers, supercomputers, and mainframes Windows is not king. When people need to do serious work, they do not necessarily rely on Windows. Let’s look at some numbers. I’ll start with financial figures I grabbed from Wikipedia. Microsoft’s revenue from 2007 was $51.12 billion. Let’s compare that with Sun, Apple, Novell, and IBM. Sun had revenue of $13.873 billion in the fiscal year of 2007. Apple was $24.01 billion. Novell was $1.2 billion from 2005. And IBM is listed as having revenue of $98.8 billion during the 2007 to 2008 fiscal year. Now, of course, this doesn’t say much about Windows versus other operating systems. These companies sell a lot more than operating systems. But I think it’s food for thought, taken with a grain of salt, when considering these competitors sell operating systems other than Windows, and they’re doing quite well. How about servers? Let’s look at web servers. (I’m going to make an assumption here and not bother doing the research. I’m going to assume that most computers running Apache are not running Windows. After all, why spend all that money on Windows with IIS, just to install Apache?) Currently, about 60% of the internet is Apache and only about 30% is IIS. Well below the oft-quoted 90% of average users that use Windows. 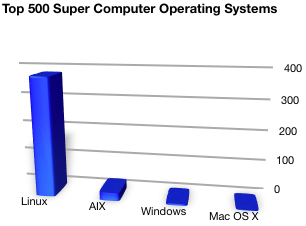 Of the top 500 supercomputers as of November of 2007, only 6 were running Windows. (Windows Compute Cluster Server 2003.) Linux is at the top of the list with 381 supercomputers using it. Redhat beats out Windows with 13. Mac OS X is even being run on 2 supercomputers. IBM’s AIX is running on 26 of them. Posted on December 25, 2018 Author askfmCategories ComputerLeave a comment on Why professionals don’t use Window? Tactile feedback is the biggest reason I always hear about the benefit of a physical keyboard. I’m starting to like virtual keyboards more and more as I continue to get used to them and use them more often. I actually do think virtual keyboards may replace the physical keyboards in the future. I think it may be hard to get away from the physical keyboard because people have gotten so used to them. I really like how my virtual keyboard can easily switch and change to other characters and languages so easily. The autocorrect is usually good enough to fix most of my mistakes. And I found it’s actually easier to type on a virtual keyboard in awkward physical situations like if I’m cramped on a train and have to press one of the keys at an awkward angle. But another reason for liking virtual keyboards just occurred to me. Virtual keyboards don’t get dirty and gross with lint, dust, hair, and crumbs under the keys. I had to clean a keyboard today and it just realized I never have to do that with a virtual keyboard since it’s a flat surface. So much easier to clean. So that’s just one small benefit to the virtual keyboard over the physical keyboard I wanted to put out there. Why shouldn’t turn off your computer with ssd? It’s said by experts that you shouldn’t turn off your computer, just sleep it. Because it will help to stretch your computer ssd’s life. If you turn off as many as possible your ssd will be run again and again, it’s not good for itself. Posted on August 21, 2018 December 18, 2018 Author askfmCategories ComputerTags SSDLeave a comment on Why shouldn’t turn off your computer with ssd? Which do you like better, Microsoft or Apple? Posted on November 19, 2017 Author askfmCategories ComputerLeave a comment on Which do you like better, Microsoft or Apple? I7 vs Xeon, What is the differences? Posted on October 26, 2017 Author askfmCategories ComputerLeave a comment on I7 vs Xeon, What is the differences? Posted on October 18, 2017 Author askfmCategories ComputerLeave a comment on How many software developers are there in the world? 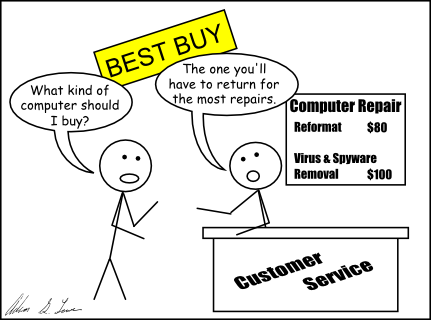 Mac vs PC: What is your choice? Do you use Mac or PC, can you give some supporting idea for your choice? Posted on October 5, 2017 Author askfmCategories Computer1 Comment on Mac vs PC: What is your choice?